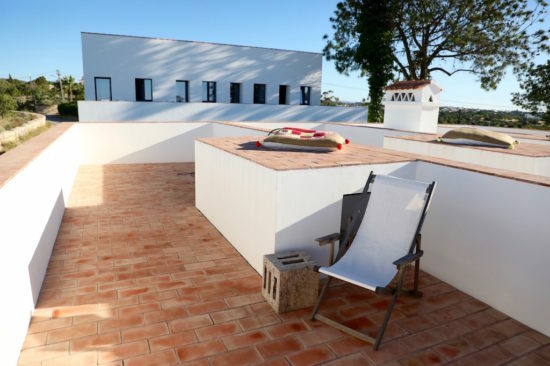 The length of Algarve is about 150 kilometres, from Spain to the Atlantic West Coast. We visited only the eastern part, from Faro to the Spanish border. 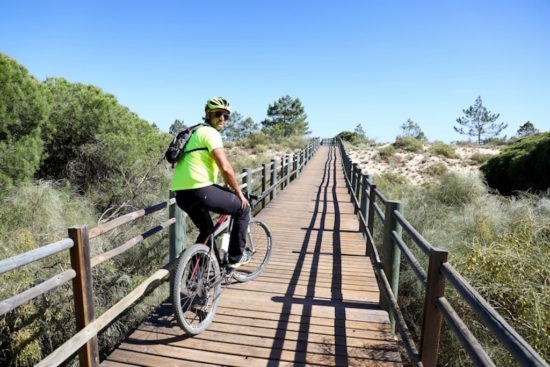 These are the holiday Algarve tips: discover some cities, sample local food and regional specialties, bike along the coastline and surprise yourself with a jeep tour. Castro Marim Castle and Sal Marim Salt Plates are nice tips to discover. Up the hill, you will find the visitor center where you will learn about the history of white gold and salt mining, which has been ongoing for more than 3,000 years. Birds and fish need salt and they help maintain biodiversity and vice versa. Literally, ‘flor do sal’ means salt blossom. The salt crystals are particularly decorative and have the best quality throughout Europe. Sorry to be too early, there is no salt yet. 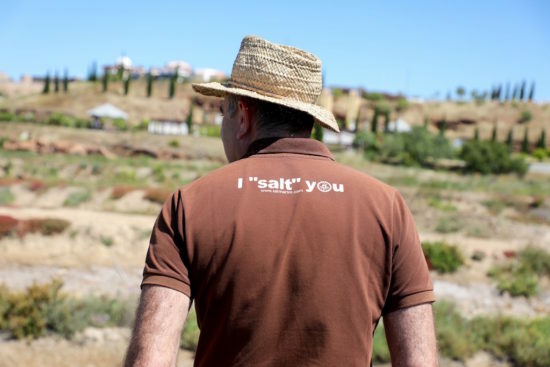 We spoke with Jorge Filipe Raiado from Sal Marim who told us everything we need to know about salt winning. 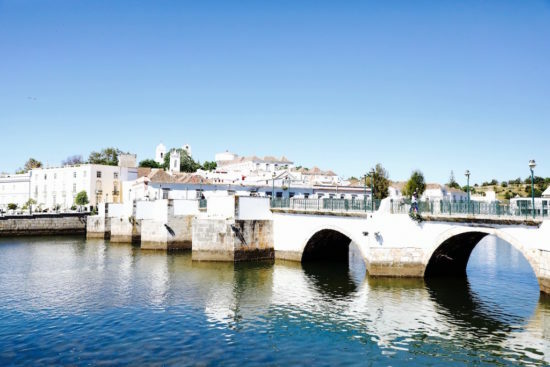 Tavira is a lovely town to visit, with impressive Roman bridges and beautiful houses where the swallows like to nest. 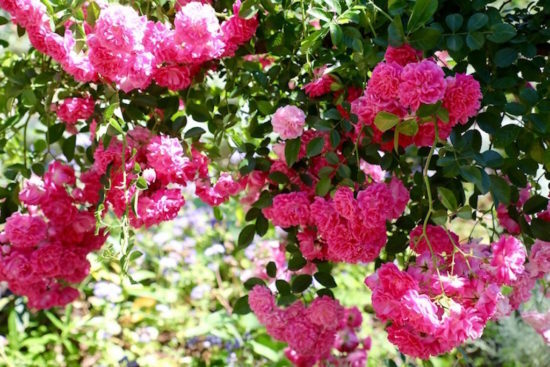 Stroll through Tavira, drink a bica – espresso – on a shady terrace and walk to ‘escadinhas do castelo’ with a beautiful flower garden. 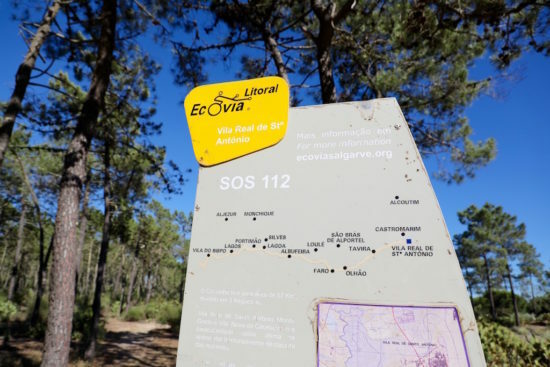 Ecovia is a cycling route of over 200 kilometres along the Algarve coastline. 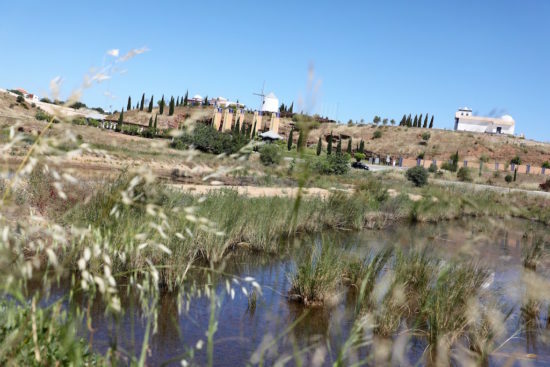 We cycle the first eight kilometres from Vila Real de Santa António with Alemvila Tours. 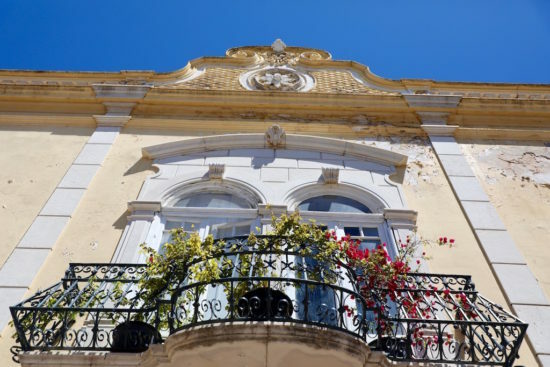 The historic center, Cidade Velha, Faro, has white paving stones that are so typical of the Portuguese and give such a clear street image. 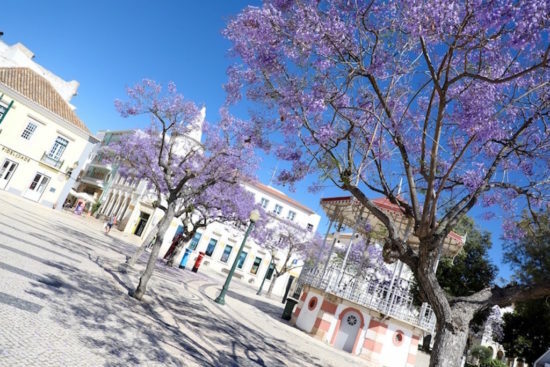 Perhaps, May is the prettiest month in the Algarve, as the Jacaranda – the purple fairy-tale tree – is in full bloom. 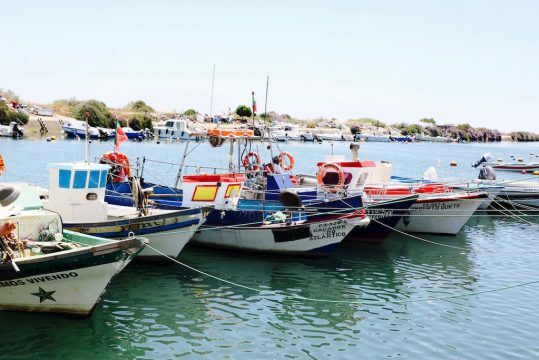 During a jeep tour with our personal driver and guide, Jo of Extremo Ambiente, we got to know the special places around Olhão, including, of course, the coast. 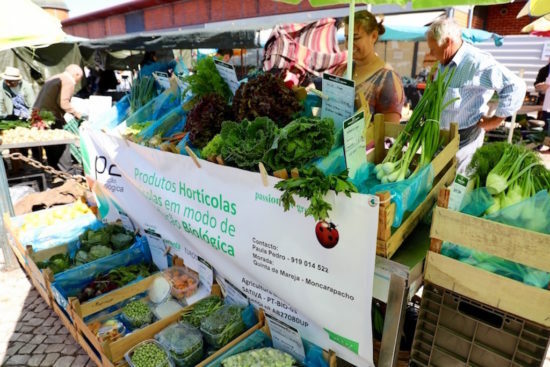 Our first stop is the mercado municipal – the market. 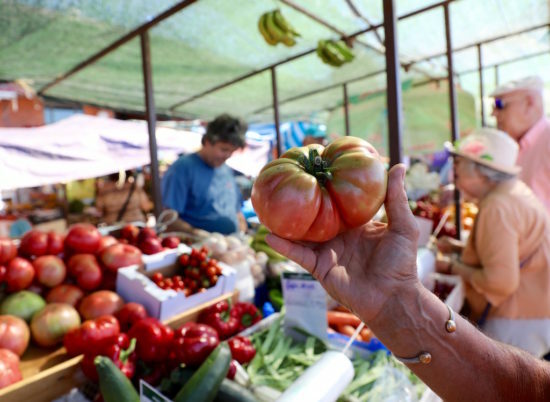 We were lucky because the weekly market is usually on Saturday. The colourful fruit and vegetables are displayed outside. 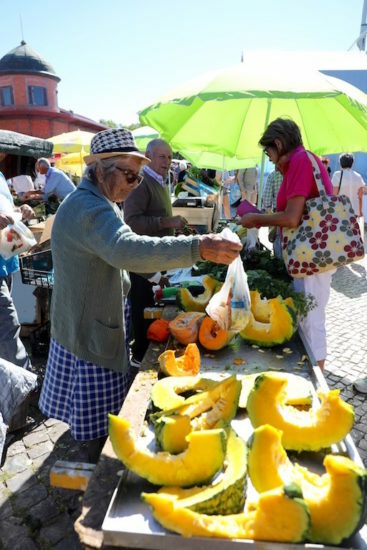 The market is mainly visited by locals, who engage in weekly shopping. That makes it extra colourful and vibrant. And yes, there is also a stall with organic products. Inside the 18th-century market hall has been the fish market. How nice is that? Also on Portuguese television. 🙂 Check the video above.